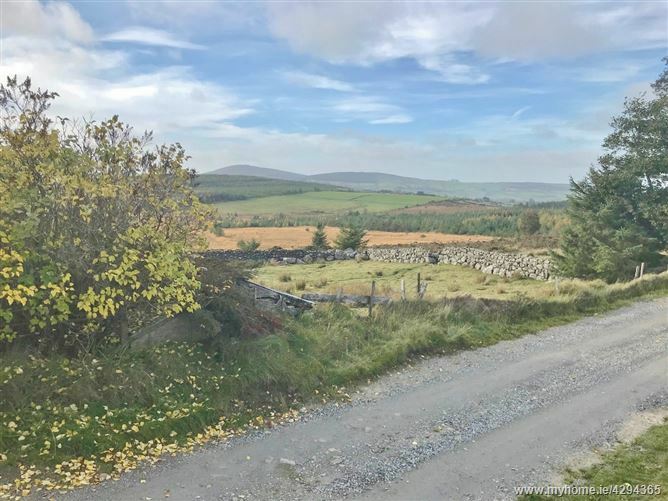 Land c. 1.8 acres/ 0.72 hectares laid out in two fields of pasture with good road frontage in this area of exceptional beauty and views in the foothills of the Wicklow Mountains. 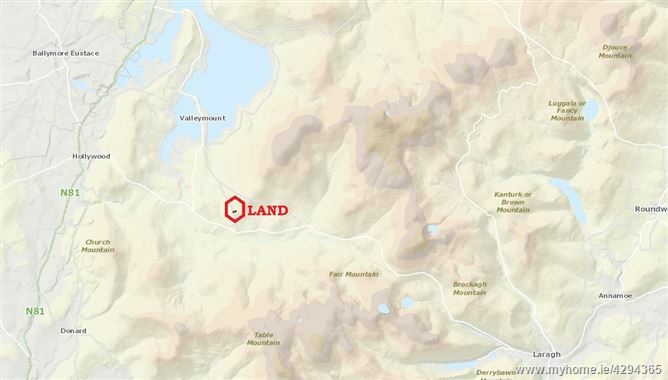 Less than 20 minutes’ drive from the spectacular scenery of Glendalough and the Wicklow Mountains National Park, this parcel of land is convenient for the villages of Valleymount, Hollywood, and the larger town of Blessington. 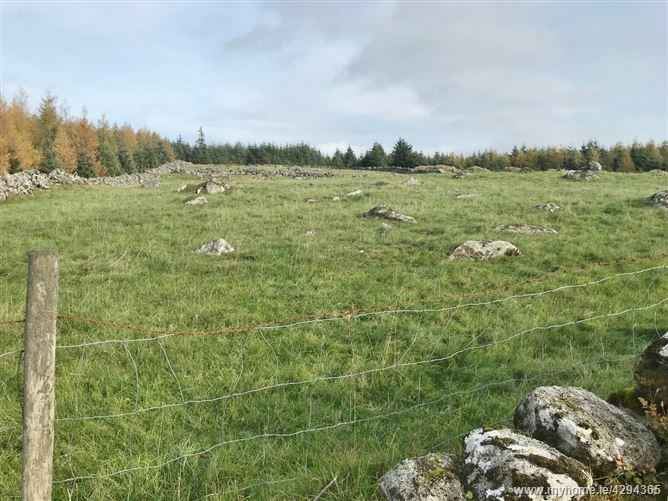 Granabeg is within close proximity to a host of leisure pursuits such as horse riding, hill walking, and water sports on the Blessington Lakes. 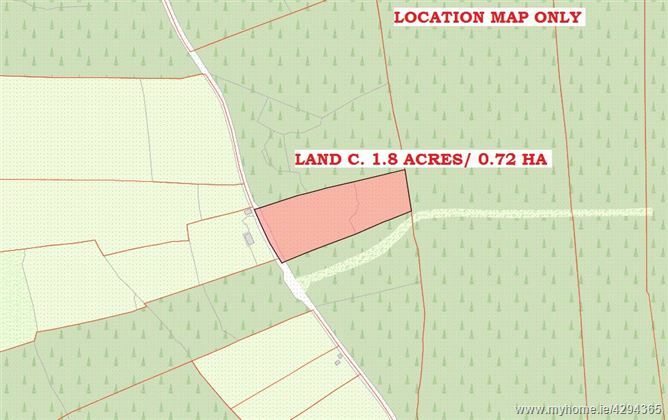 Schools in close proximity are Valleymount, Hollywood and Dunlavin Primary schools and Secondary school in Dunlavin. There are pubs, shops and eateries all within a short drive. Valleymount: c. 4.9 km. Hollywood: c. 9 km. Blessington: c. 15 km. Dublin: c. 40km.